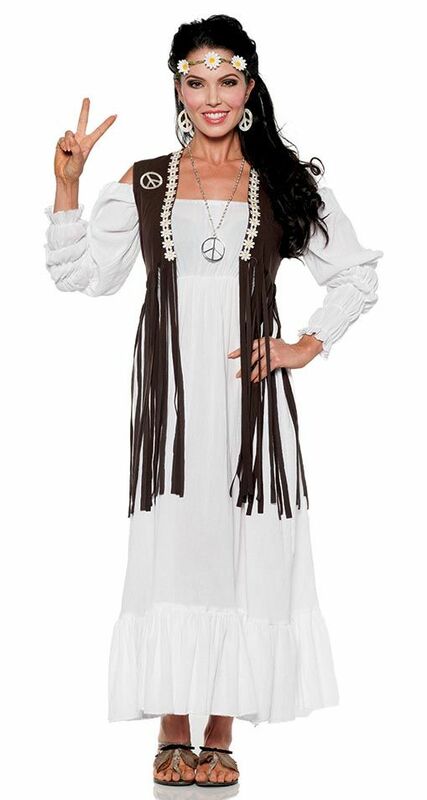 Look like the ultimate flower child in this women's hippie costume that includes a natural white off-the-shoulder dress with empire waist, separate brown faux suede vest with long fringe, peace sign and flower embroidered accents, and white faux flower headband with leaf accents. 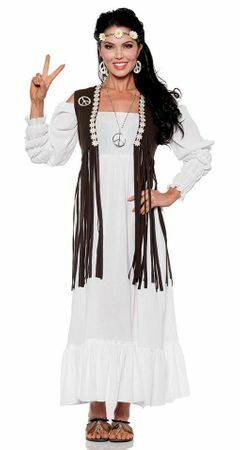 The off-the shoulder neckline and empire waist of the dress are stretchy elastic for a comfortable fit. Our custom size chart for this costume can help you decide between Women's Small, Medium, and Large.